Gastric Band Hypnotherapy is a powerful technique that uses the power of your mind to fit a “virtual gastric or lap band” to your stomach. As the band restricts the volume of food that the stomach can hold, this results in a decrease of appetite and food consumption. 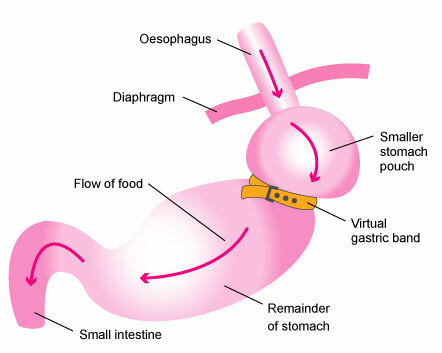 A virtual Gastric Band has no side effects as it is a totally Hypnotic process and no physical intervention takes place. A Virtual Gastric Band is completely safe, you will feel very very relaxed; you will remain in control all the way through the procedure. What we are going to do is nothing like stage or TV hypnosis. The first thing you need is commitment to your weight loss program, as with any gastric band procedure virtual or not, there are rules you have to adhere to for it to be successful. 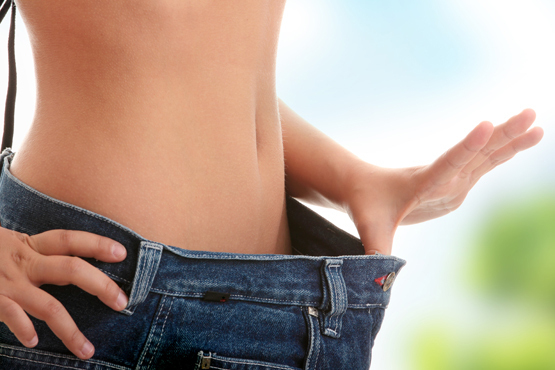 This procedure is for clients who have a BMI of 30 or above. If you meet the criteria, the next step is a consultation to discuss your weight, eating habits and lifestyle. If your BMI is less than 30 or you feel Gastric Band Hypnotherapy is not suitable for you perhaps you may like to consider our other weight loss programmes. As with any gastric band procedure, once completed you will have to adapt your lifestyle to suit. The key to success is YOU! No weight loss system will work unless you are committed to losing weight. You must be prepared to adapt your eating habits to get the maximum effect. If you are totally serious about losing weight then it will definitely work for you. The Virtual Gastric Band is a very powerful procedure that will provide you with the psychological tools and commitment you need to not only lose weight, but to maintain that new healthy you. Like any medical or therapy procedure there can be no definite guarantees. Even a surgeon cannot guarantee that an actual gastric band will work. However, the virtual gastric band has been proven to be effective in aiding significant weight loss in at least 80-90% of clients. It should be noted that it is YOU that holds the key to losing weight. No system will work if you are not 100% committed. The mind is a very powerful instrument and by using the Gastric Band Hypnotherapy system you will have the tools and power to change your eating habits. The only way to lose significant amounts of weight is to eat less and exercise more! The Gastric Band Hypnotherapy system helps you to change behaviour and life-style which in turn provides you with the ability to lose weight and stay that way! What does your Virtual Gastric Band Treatment consist of? Initially we will arrange for a consultation session, where the Gastric Band Hypnosis Procedure will be explained and we can discuss your eating habits, lifestyle and the possible triggers and anxieties that cause you to comfort eat. You will be asked to keep a weekly food diary sheet and this is to be filled out by you as you continue through this process. We will do a clearing session to clear any past psychological and emotional reasons for overeating in the first place. This will be followed by your first hypnosis session that will last around 1 hour. This session is used to ease you in to hypnosis and allow your subconscious mind to start accepting some powerful hypnotic suggestions. At the end I will answer any questions and arrange your next session. We will discuss how the Gastric Band Surgery actually works and what we will be doing next. Session 3 is your “Gastric Band Surgery” session. You will have already started to lose weight at this point but after this session you will see a dramatic increase in your weight loss. This is available for clients who feel they may need an adjustment to their virtual gastric band. This is usually about 4 weeks after your surgery session. The Investment for The Hypnotic Gastric Band is only £300. Compared to the invasive surgery which costs between £5000 and £7000 that’s a real saving.